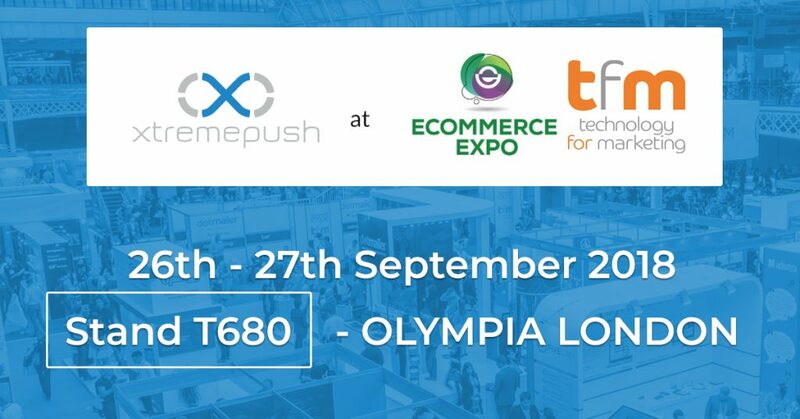 Xtremepush will be exhibiting at the Ecommerce & Technology For Marketers Event in London towards the end of September. This will be the first event where Xtremepush will be showcasing both their Multi-Channel Marketing Solution and their Email Marketing Platform, Maxemail, that was acquired earlier in 2018. This must-attend event has a plethora of technology on show and is the perfect location for Xtremepush to highlight their platforms and expertise in multi-channel engagement and analytics to the 12,000 attendees. Our team will be discussing Web Engagement via Web Push Notifications, In-Web Messaging and Web Inbox, Mobile Engagement including Push Notifications, In-App Messaging, In-App inbox, Social Engagement, Email Marketing and Proximity Marketing. You can see from our case studies that we enable enterprise brands to achieve maximum return from our platforms. The Ecommerce Expo and TFM are being held at the Olympia London on September 27th & 28th. Pre-booked one-to-one meetings are able to be booked via the organisers booking system. Alternatively, book a meeting with our team via the form below. By clicking this button, you submit your information to Maxemail, who will use it to communicate with you regarding their other services. We will look forward to seeing you in September.